Vanderbilt University is a local and global community leader committed to environmental stewardship, protecting natural resources, and enhancing quality of life while maintaining academic, medical, social, and economic productivity. As the university's in-house print resource, we understand the importance of providing environmentally-responsible solutions for our clients, and we take pride in our sustainability efforts. This focus on sustainability takes many forms, from our choice of ink and paper - to the outside suppliers we do business with. Recycling Since 1989, we have been recycling nearly all of the waste generated in our production facility. 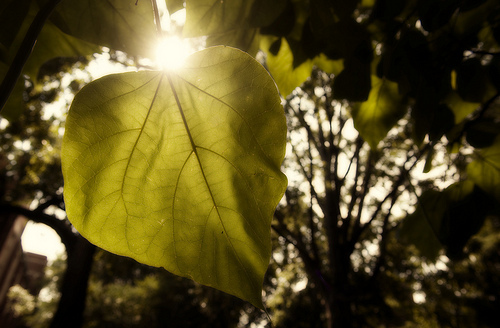 In 2009 alone, our paper recycling efforts saved 1,781 trees by reprocessing our recycled materials. Standard Products All official Vanderbilt University and Medical Center business cards and letterhead are printed on a recycled stock or paper made from renewable sources. Click HERE for more information. Ink The inks we use are formulated and manufactured to be environmentally responsible and incorporate the use of renewable resources of vegetable oils (soy oil included). Energy Efficiency In our Campus Copy operations, all digital output devices meet or exceed US Energy Star requirements. These printers use less energy, save money for the university, and help protect the environment. Paper We are proud to work with manufacturers who have strong economic, environmental, and social commitments. Whenever possible, Vanderbilt Printing purchases paper from vendors with either Sustainable Forestry Initiative (SFI) or Forest Stewardship Council® (FSC®) Chain-of-Custody (CoC) certifications. 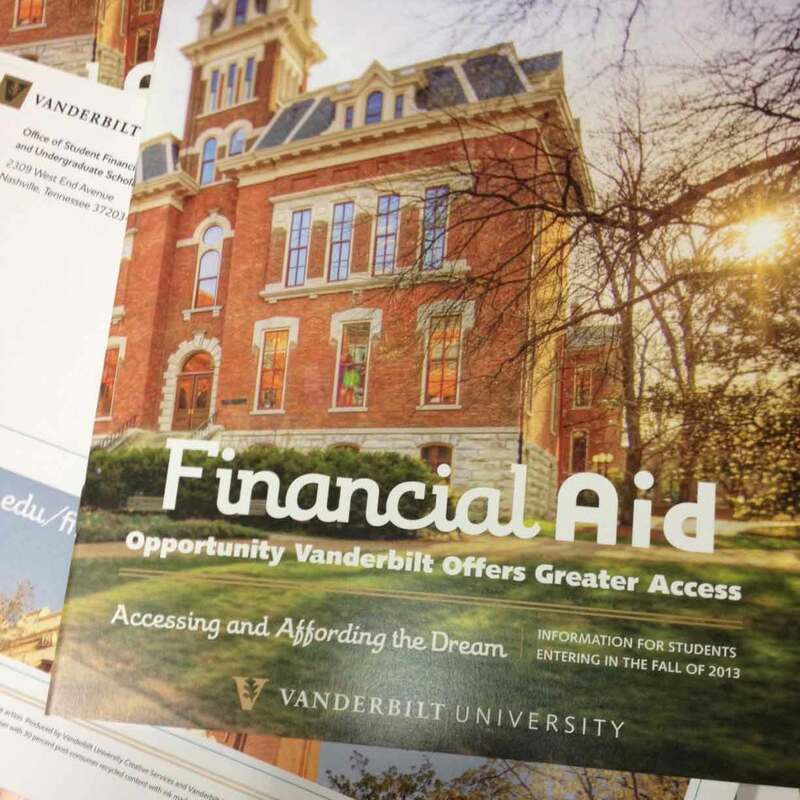 Vanderbilt Printing Services stocks and encourages the use of recycled paper from such vendors. 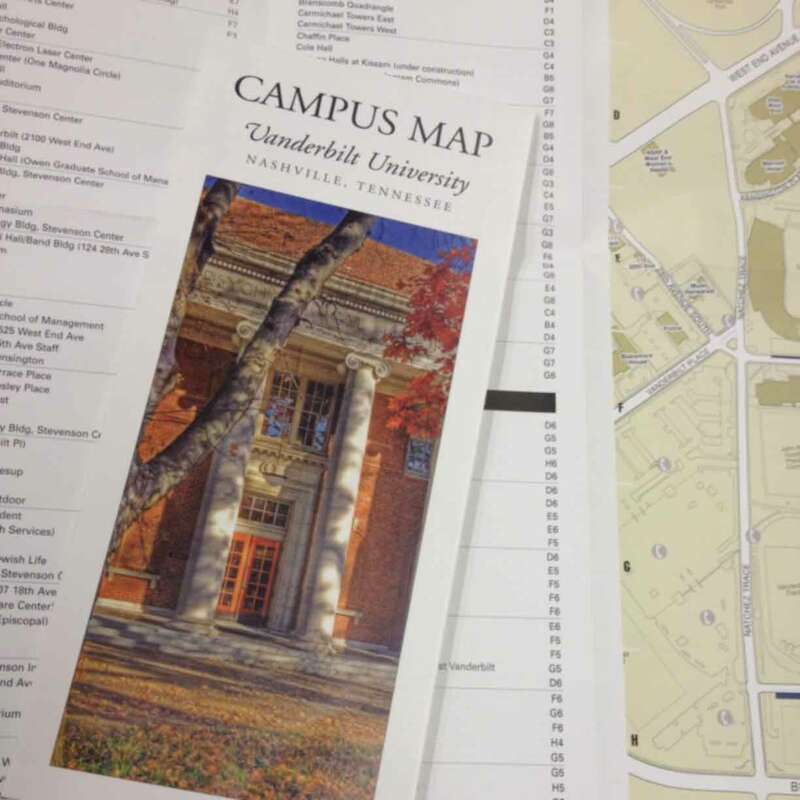 In 2012, Vanderbilt University Printing Services earned Forest Stewardship Council® certification.. Established in 1993 as a response to concerns over global deforestation, FSC® is an independent, non-governmental, not-for-profit organization established to promote the responsible management of the world's forests. FSC certification provides a credible link between responsible production and consumption of forest products, enabling consumers and businesses to make purchasing decisions that benefit people as well as provide ongoing business value. We feel that FSC certification is the gold standard of programs designed to promote total transparency in the use of sustainable materials and their processing within the printing industry, and VUPS is proud to offer the FSC logo on selected publications. 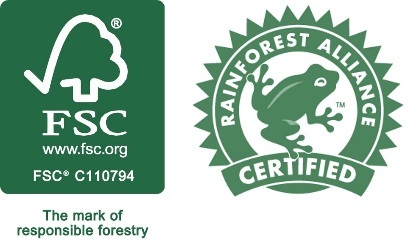 Vanderbilt University Printing Services' FSC Certification was issued by the Rainforest Alliance, an accredited FSC Certification body. Our FSC Certificate Registration Code is RA-COC-005902, and a copy of our certificate is available upon request. 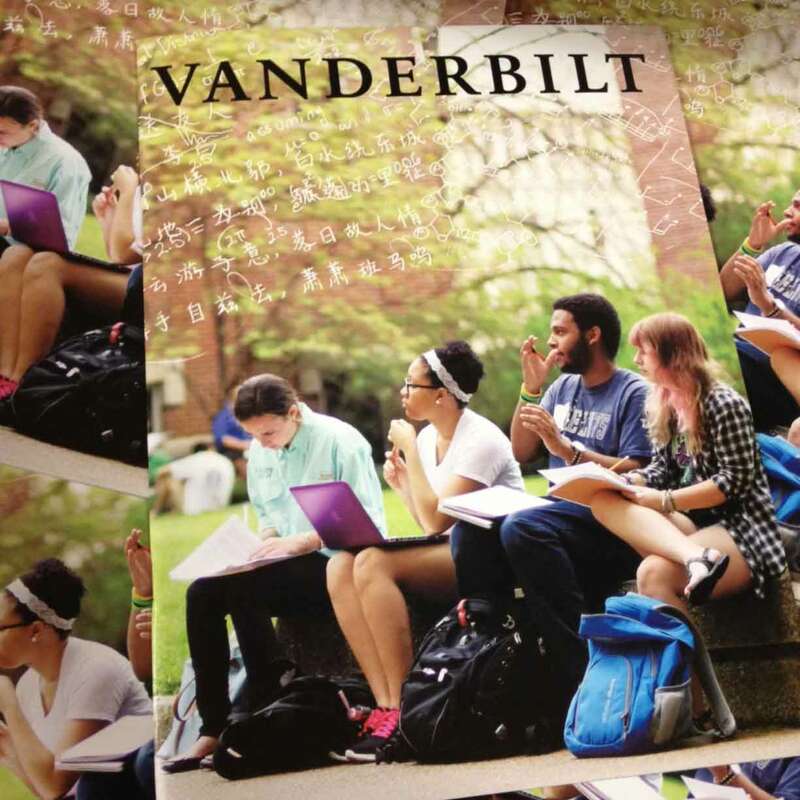 Vanderbilt University Printing Services is the only authorized source for official Vanderbilt business cards, letterhead and envelopes. To reflect our commitment to sustainability, our stationery is printed on environmentally friendly paper stock. We are proud to print Vanderbilt black and gold on Neenah Recycled Bright White, from the Classic Cotton series uncoated paper. Classic Cotton is FSC® certified, Carbon Neutral Plus, Green Seal™ Certified, and contains 75% MInimum Post-Consumer Reycled Fibers. For more information, visit www.neenahpaper.com/NeenahGreen.